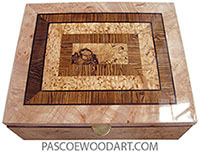 This box is made of 3/16" shop sawn campher burl veneer vacuum laminated on alder. 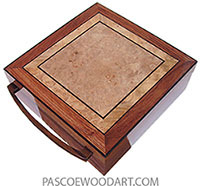 The sides were stained to even-up coloration, but the top was not. 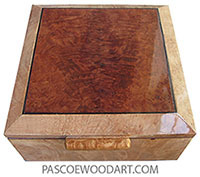 Indivisually handmade wood box, made of campher burl. Last updated September 03, 2015. Posted August 23, 2015.